You want to make sure that your rental property is making you as much money as possible, and that your tenants are happy with the experience from start to finish. Selecting the right property management company is vital to that equation. Unfortunately, like any other industry, there are plenty of companies that look great on paper but fail to deliver on their promises. 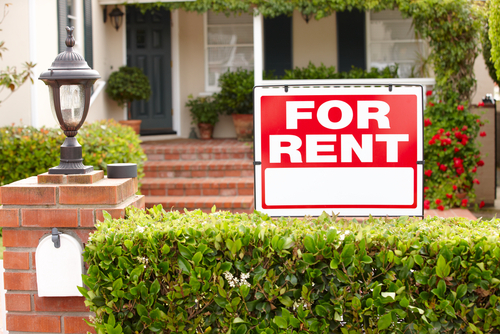 What should you look for when finding a property management company for your rental property? Specialized Experience: Property management is complex and nuanced, which is why you’re looking to hire someone to do it in the first place! The right property management company has specialized experience working in the industry and in your area. They will be on top of federal, state and local laws as a result, and know how to handle the wide range of sticky situations that can arise when managing properties. Ask the company how long they have managed rental properties and how many they currently manage to get a good gauge on their experience. Professional Certifications and Licenses: The best property management companies are able to back up their experience with advanced certifications and licensing. At All County Denver Metro Property Management, we are affiliated with the National Association of Property Managers, the National Association of Realtors and the Colorado Association of Realtors. That means that we are held to higher standards and have more training and ongoing education to better serve our property owners. Reviews and References: What reputation does the property management company have online and offline? Remember that tenants and occasional clients might have an ax to grind, so one or two bad reviews shouldn’t be a red flag. However, if you start to spot a trend in reviews, it is something that you should heed. You should also ask for existing client and tenant references and follow up. The Agreement: What does the property management agreement say? Check the owner responsibilities, services provided, fees, contract duration and termination clauses before signing on the dotted line. All County Denver Metro Property Management offers all property owners competent and honest property management services. From rental market evaluation to tenant placement, we can assist with all of your needs. Our team of real estate professionals looks forward to hearing from you about how we can make your investment a stress-free asset and keep your tenants happy. Call us at (720) 575-6100 for a free quote.